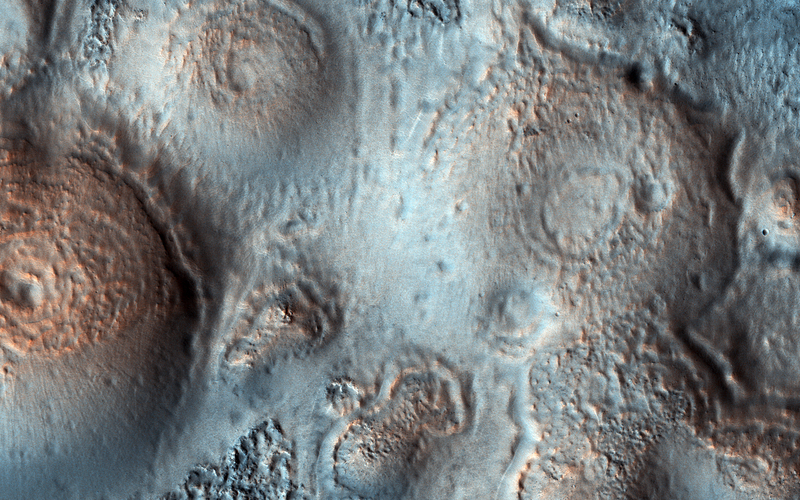 This observation shows relatively bright mounds scattered throughout darker and diverse surfaces in Chryse Planitia. These mounds are hundreds of meters in size. 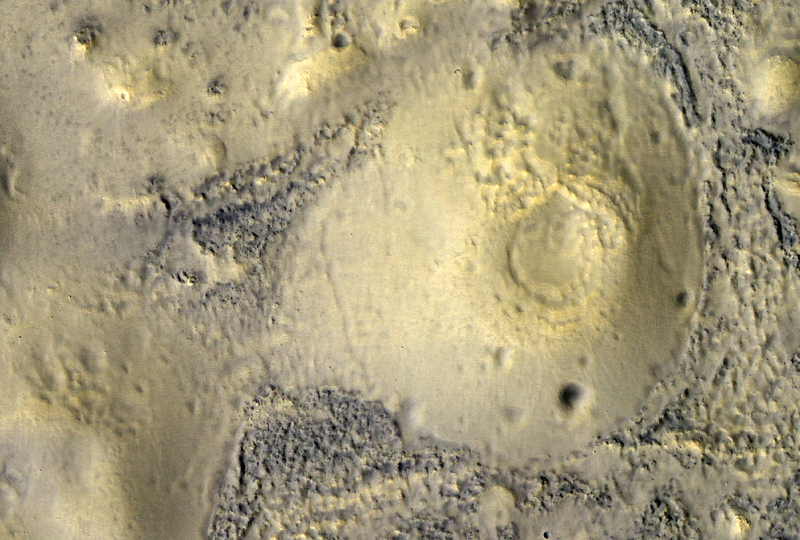 The largest of the mounds shows a central pit, similar to the collapsed craters found at the summit of some volcanoes on Earth. The origins of these pitted mounds or cratered cones are uncertain. 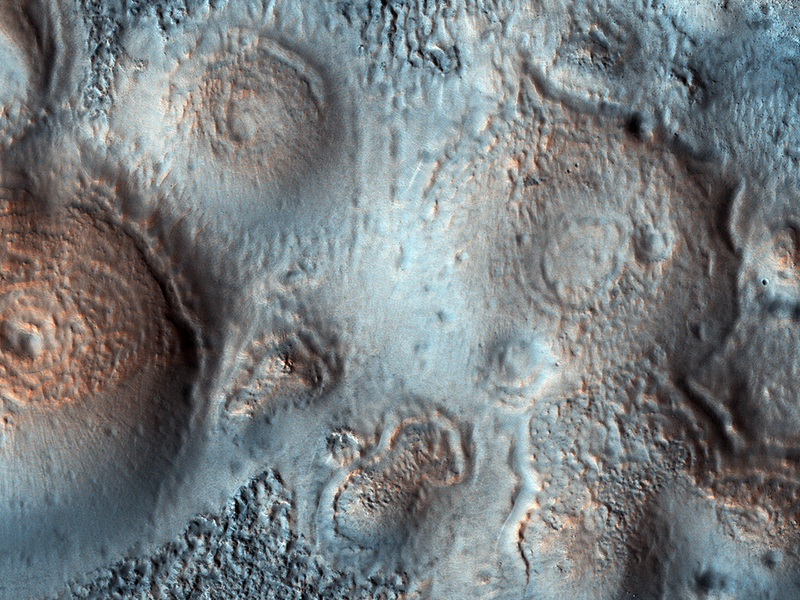 They could be the result of the interaction of lava and water, or perhaps formed from the eruption of hot mud originating from beneath the surface. 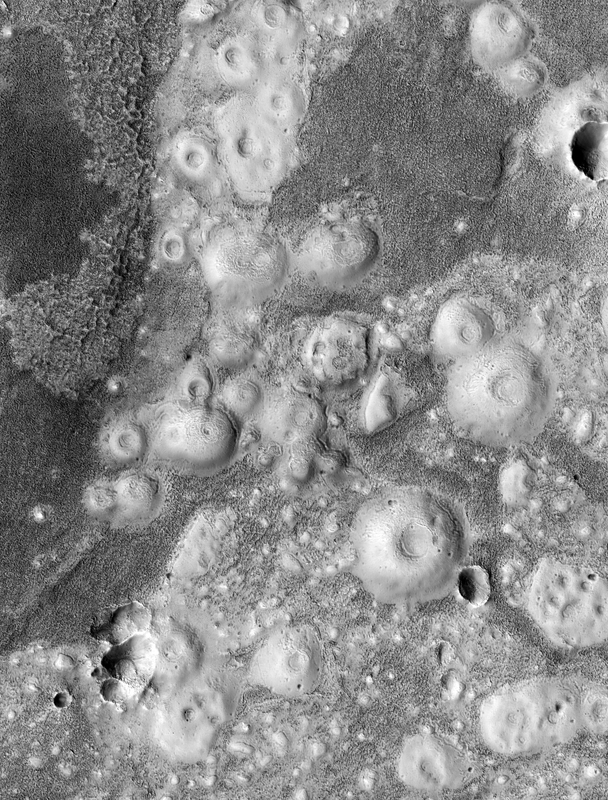 These features are very interesting to scientists who study Mars, especially to those involved in the ExoMars Trace Gas Orbiter mission. 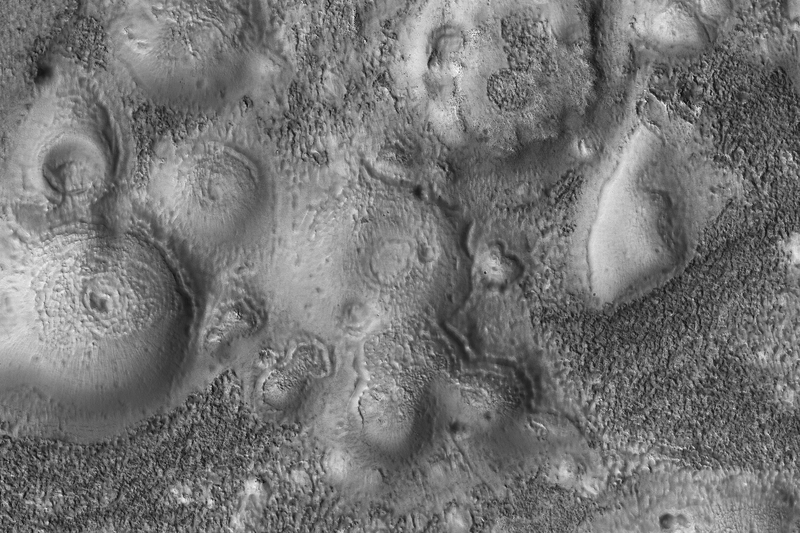 If these mounds are indeed mud–related, they may be one of the long sought after sources for transient methane on Mars.